This Sunday night at the Paaras Youth Center, we will be screening The Waiting Room. This documentary from 2012 is considered one of the best on the issues of health care in the United States. This issue affects all of us, but as Sikhs, especially in the Central Valley where we have such a large number of us engaged in questions of health and medicine, from physicians to nurses, from techs to various businesses, it is extremely important we come to talk about this issue. A moving portrait of people doing their jobs under very difficult circumstances - and, in virtually every moment we see, doing them with efficiency, wisdom and compassion. We call on ALL to attend - whether a health care professional or just someone interested in health, let's have this discussion together. Following the movie, we are pleased to have a special panel discussion with two health professionals on their thoughts and comments about the movie and their own experiences in health. 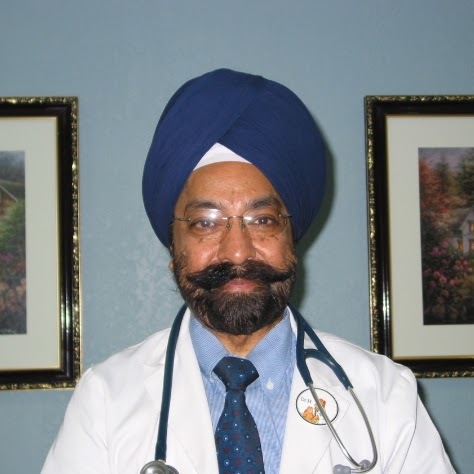 Dr. Harcharn Singh Chann is a cardiologist and has been practicing in Fresno for more than 30 years. He will share his experiences about the changes in the medical system and his own thoughts on the movie for the community discussion. Prabhkamal Rai is a young registered nurse. A recent graduate from Fresno State's nursing program, she will share a youth and new perspective on her early experiences in the hospital and what this film tells and doesn't tell us. She is excited about this community discussion.